Aside from the protection it gives to your roof, roof painting also gives great curb appeal to your home and improves the aesthetics of the house as a whole. Selecting the appropriate colour can even make the house look bigger or give visitors an indication of the personality of the home owner. Whichever colour you choose, roof painting will have a considerable positive impact on the overall look of your house. 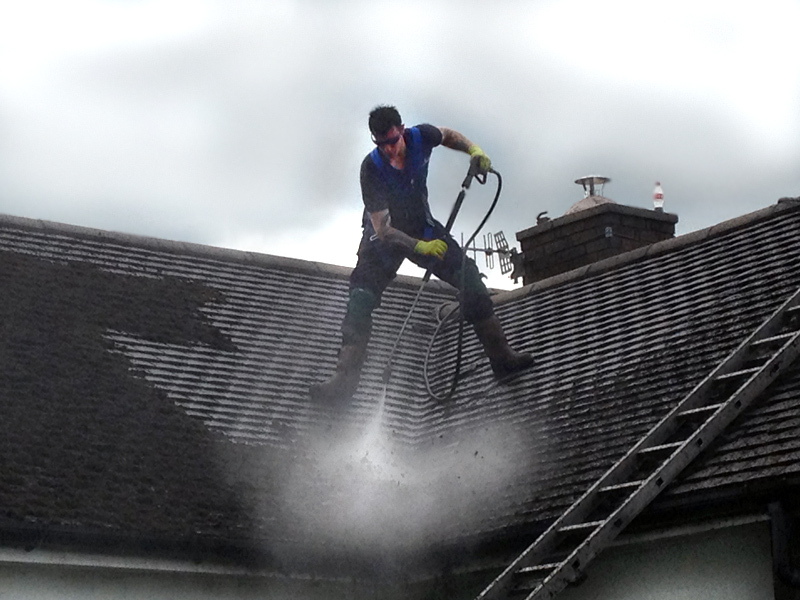 Call Roofman today and give your roof a new lease of life. By tradition, black or a dark grey roof really works best for white houses. Opt for the conventional colors like black or dark grey since these colors blend together with the house and make whole building bigger. Other roof colors may be too much for these kind of houses. Go for brown or grey or black roof in houses like these. It might be preferable to for brown for red and green houses and a black roof for yellow houses. Choose from a wide variety of brown shades. It can be a solid color of a particular shade of brown, or be creative and mix up these shades to give the house a terrific new look. Of course, the choice of color is still up to the house owner and Roofman has a wide variety of roof paint colors to choose from. For other information for the benefits of the application of roof paint, please refer back to Roof Coating.